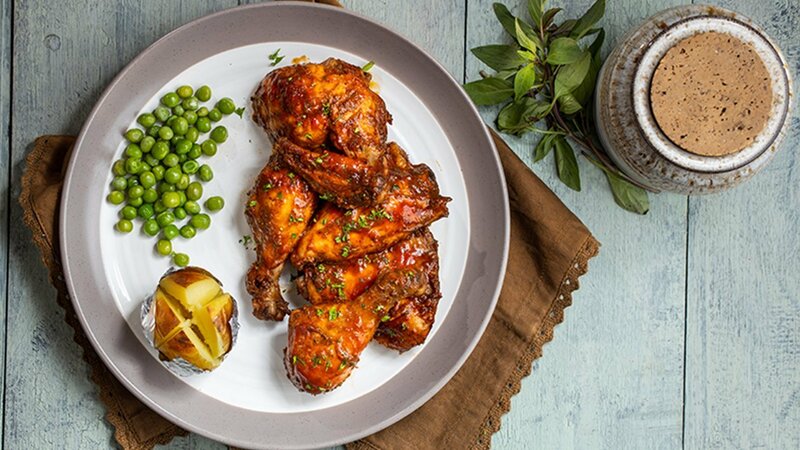 This delicious mouthwatering recipe from Jamaican cuisine which makes every buffet stand out. Combine all ingredients, including the chicken and marinade for about 1-2 hours. Preheat the oven to 180 centigrade. Grease oven tray with oil and place a chicken into oven tray and bake for about 20 minutes. After 20 minutes spread the remaining marinade mixture onto chicken pieces and again bake for 10 minutes and serve hot.